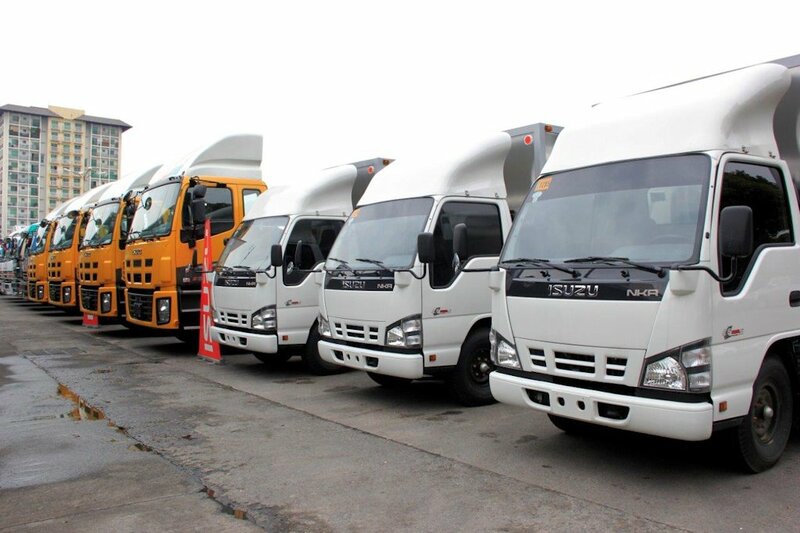 Several new truck models were recently turned over by Isuzu Philippines Corporation (IPC) to a company engaged in transportation logistics. Through the latest acquisition, IPC has augmented the fleet of Gapuzan Trucking Inc. (GTI), a company that since 2000 has been a Philippine Economic Zone Authority-registered and licensed provider of trucking and hauling services. GTI, which started its business in 1993 using a lone Isuzu truck, recently purchased three Isuzu EXR and one Isuzu EXZ heavy-duty trucks, and three units of the Isuzu NKR71 with an aluminum van body. The new truck models were formally turned over by IPC President Hajime Koso to GTI President Damaso A. Gapuzan and GTI General Manager Vergel A. Gapuzan during a simple program. “The new acquisition of Isuzu trucks by Gapuzan Trucking Inc. is a positive indicator of the Philippine economy’s current strength, which is partly fueled by the delivery of goods and services. This brisk movement relies on transportation providers, which in turn are investing on highly dependable vehicles. At Isuzu Philippines Corporation, we offer this type of vehicles and truly appreciate the trust that companies like Gapuzan Trucking Inc. have placed on IPC with regards to mobility solutions,” Koso said. The new Isuzu trucks add to GTI’s fleet of 133 units, which service the operations of the company’s five separate garages and eight warehouses (with four more to be developed soon). “As a one-stop source for trucking and hauling requirements, we cannot stress enough the importance of being able to literally deliver on what we had been contracted to do on time, every time — our hard-earned reputation rests on this. That is why, besides operating a motor pool and mechanical service 24/7 to address any unforeseen circumstance, we make sure that the vehicles we purchase are in the first place already reliable, durable and fuel-efficient. Isuzu definitely addresses this requirement,” the GTI president said. GTI’s services include third party logistics, expedited pickup and delivery on 24/7 basis, distribution of goods, household moving-out, common warehousing, forklift rentals and palletizing. For its part, IPC is the country’s highest performer in the commercial truck segment. Industry data show that from January to September this year, the company in terms of sales controls 53 percent of the light-duty, 60.7 percent of the medium-duty, and 43 percent of the heavy-duty truck markets. Combined with sales of buses, IPC secures 51.8 percent of the country’s truck segment.